Toyota will bring its latest prototype self-driving car to CES 2018. Dubbed “Platform 3.0,” the automaker says it boasts a number of improvements over predecessor models, including better sensors. Engineers also paid more attention to aesthetics by trying to blend the sensors into the bodywork. The car itself is a modified Lexus LS 600hL hybrid. That means it’s based on an older version of the LS sedan from Toyota’s Lexus luxury brand, rather than the new version that debuted last year. But the car isn’t as important as the sensors. Toyota says it is “narrowing in” on a specific configuration of sensors that it believes will work best in future self-driving cars. A lidar system supplied by Luminar has a 200-meter (656-foot) range. Where the setup used in previous Toyota autonomous prototypes could only scan straight ahead, the Platform 3.0 version can scan 360 degrees around the car. 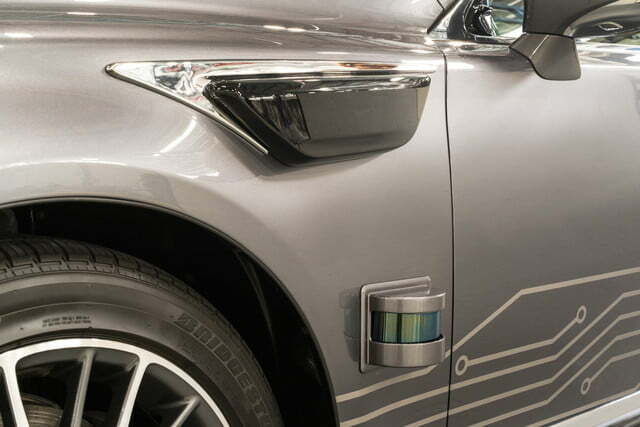 Shorter-range lidar sensors are also positioned low on all four sides of the car. They can detect low-lying objects like road debris, or children who may have wandered into the road, according to Toyota. 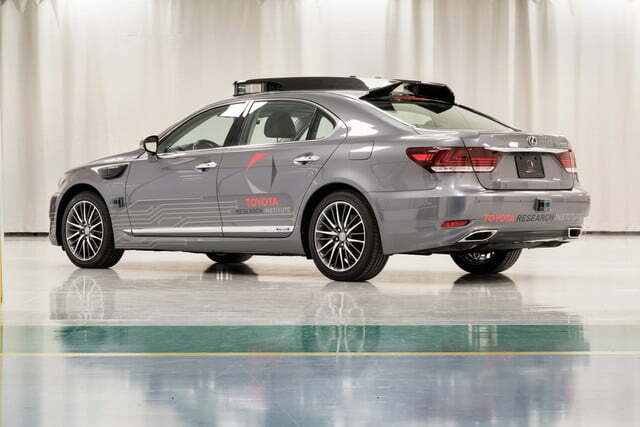 Design usually isn’t a priority for autonomous test vehicles, but Toyota made an effort to integrate the sensors into the bodywork in a less awkward way. 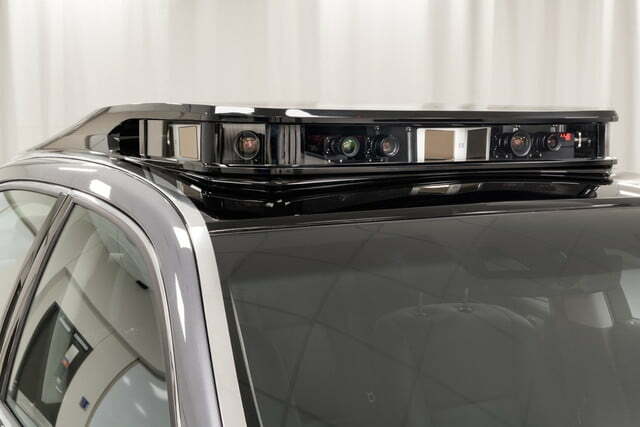 A roof panel uses space normally occupied by the sunroof to house sensors, concealing the spinning lidar units that stick out of the tops of most self-driving cars. Other sensors were blended into the bodywork rather than simply being bolted on. 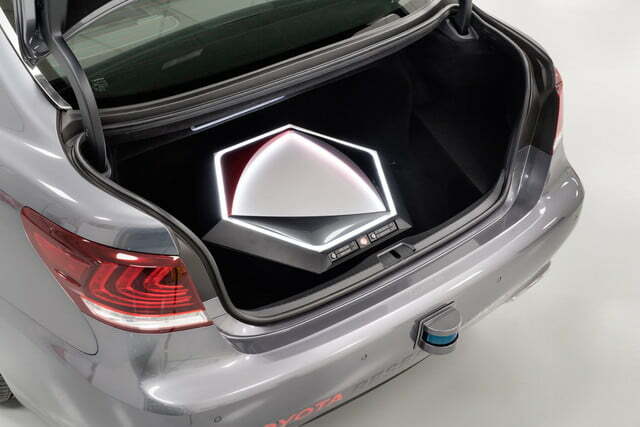 The car still looks like a Lexus with random electronics attached to it, but at least Toyota made an effort. Some of the Platform 3.0 cars will get the bizarre dual steering-wheel setup Toyota unveiled last summer. This is meant to test how control can be handed from the driver to car. 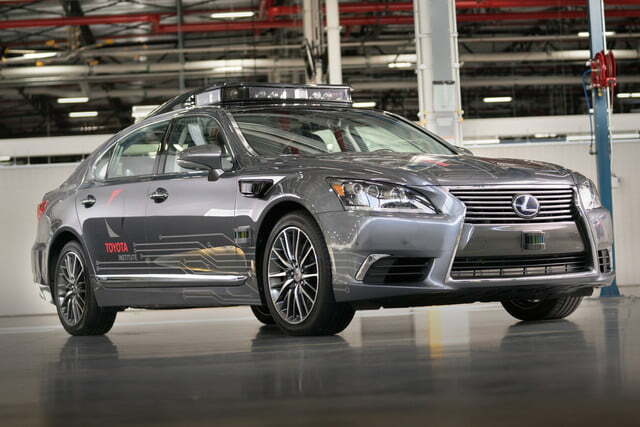 It’s part of the testing of an autonomous driving system called Guardian that only intervenes when the system feels the human driver needs help. Toyota is testing a companion system called Chauffeur that relieves humans of all driving duties. 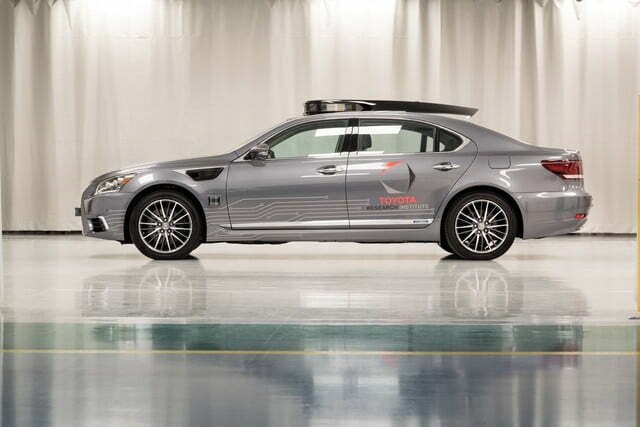 A limited number of Platform 3.0 cars will be built at the Prototype Development Center at Toyota Motor North America’s R&D headquarters in York Township, Michigan. Production begins this spring.